The Atacama Large Millimeter/submillimeter Array (ALMA) joined one of the biggest Target of Opportunity observing campaign ever launched worldwide. After the LIGO-Virgo observatory network detected gravitational waves passing through the Earth and positioned the source on 17 August 2017, many telescopes around the globe identified for the first time the electromagnetic counterpart to a gravitational wave source. For the first time, astronomers have observed both gravitational waves and electromagnetic radiation (light) from the same event, thanks to a global collaborative effort and the quick reactions of observatories around the world. Watch Nobel Prize winner Kip Thorn's fascinating talk "The Warped Side of the Universe in the video below. There is a "Warped side" to our universe, consisting of objects and phenomena that are made solely or largely from warped spacetime. Examples are black holes, singularities (inside black holes and in the big bang), and cosmic strings. Simulations are revolutionizing our understanding of what COULD exist on our universe's Warped Side; and gravitational-wave observations (LIGO, VIRGO, LISA, …) will reveal what phenomena actually DO exist on the Warped Side, and how they behave. On 17 August 2017, the NSF‘s Laser Interferometer Gravitational-Wave Observatory (LIGO) in the United States, working with the Virgo Interferometer in Italy, detected gravitational waves passing the Earth. This event, the fifth ever detected, was named GW170817. About two seconds later, two space observatories, NASA’s Fermi Gamma-Ray Space Telescope and ESA’s INTErnational Gamma-Ray Astrophysics Laboratory (INTEGRAL), detected a short gamma-ray burst (GRB) from the same area of the sky. The LIGO–Virgo observatory network positioned the source within a vast region of the southern sky, the size of several hundred full Moons and containing millions of stars. 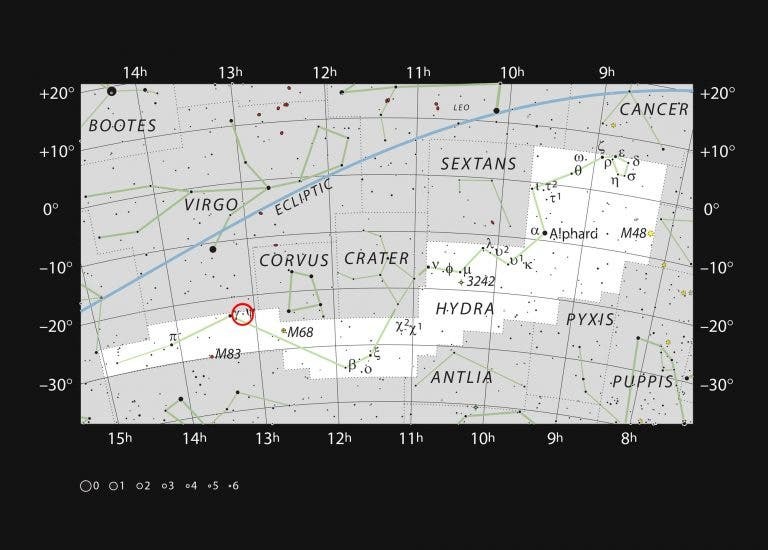 As night fell in Chile, many telescopes peered at this patch of sky, searching for new sources. The Swope 1-metre telescope was the first to announce a new point of light. It appeared very close to NGC 4993, a lenticular galaxy in the constellation of Hydra, and VISTA observations pinpointed this source at infrared wavelengths almost at the same time. As night marched west across the globe, the Hawaiian island telescopes Pan-STARRS and Subaru also picked it up and watched it evolve rapidly. 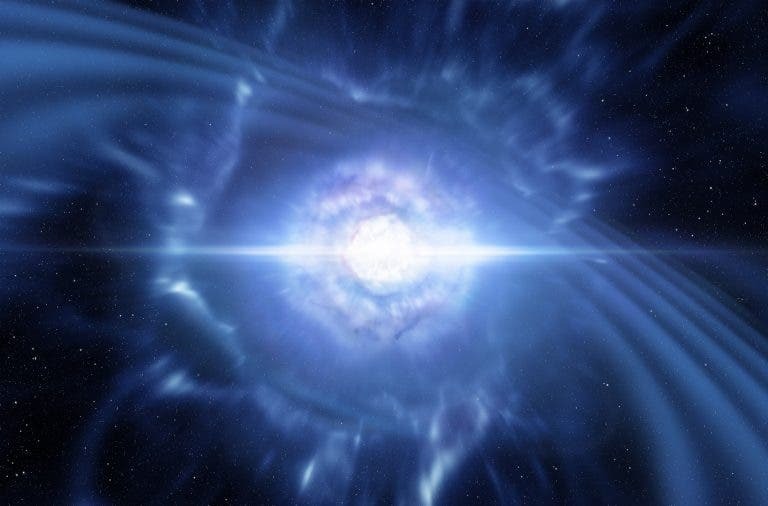 This artist’s impression at the top of the page shows two tiny but very dense neutron stars at the point at which they merge and explode as a kilonova. Such a very rare event is expected to produce both gravitational waves and a short gamma-ray burst, both of which were observed on 17 August 2017 by LIGO–Virgo and Fermi/INTEGRAL respectively. This artist’s impression shows two tiny but very dense neutron stars at the point at which they merge and explode as a kilonova. The astronomical community launched one of the biggest ever target of opportunity observing campaigns, and about 70 observatories around the world also observed the event. 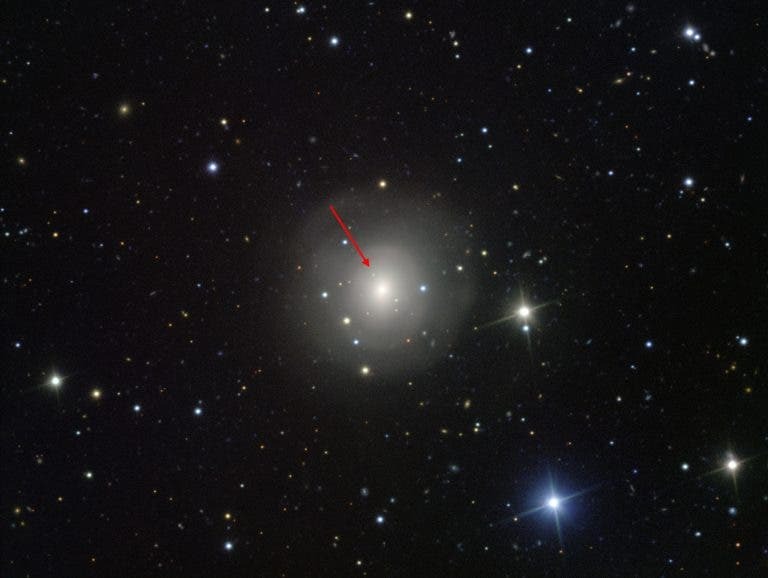 The almost simultaneous detections of both gravitational waves and gamma-rays from GW170817 raised hopes that this object was indeed a long-sought kilonova and observations have revealed properties remarkably close to theoretical predictions. Kilonovas were suggested more than 30 years ago, but this marks the first confirmed observation.